Stretch marks are visible lines on the skin surface. Stretch marks are mainly found in the abdominal wall, but are also seen on the upper arms, thighs, buttocks and breasts. As you all know ‘Prevention is the best medicine’. Diet deficient in minerals and Vitamin E can contribute to the growth of stretch marks. So, make sure your diet includes good multi-vitamin and minerals. Poor nutrition tears the skin and develops stretch marks. Stretch marks often accompany a change in your body. Stretch marks are caused by changes in the tissue that lies just beneath the skin. The most noticeable cause of stretch marks is during pregnancy, after rapid weight gain, during puberty, hereditary i.e. Family history of stretch marks, and health condition such as Marfan syndrome. Along with that if your diet is deficient in Vitamin E; it may also cause stretch mark. How Vitamin E can help? Vitamin E is an effective anti-oxidant that may help prevent stretch marks, since it protects the collagen fibers in your skin layer from free radical damage. It helps to maintain the skin’s natural elasticity by keeping the collagen fibers strong. Vitamin E can also help to reduce the wrinkling and sagging that occurs with age. Food and stretch marks are related, because nutrition and great skin are very much related to each other. Thus, eat foods loaded with vitamin E. You should certainly try and add all the foods that contain vitamin E to your daily diet in order to get their maximum benefits. 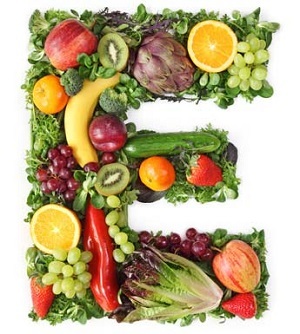 There are several foods that contain vitamin E such as Pumpkin seeds, sunflowers, Mustard Greens, Almonds, Turnip greens, Blueberries, Spinach, Collard greens and Papaya. The answer to preventing stretch marks with vitamin E is to apply it topically several times a day. Whenever you put vitamin E on the surface of your skin, you increase the vitamin E content of your skin layer by ten times. Massage vitamin E oil, or a moisturizing cream rich in vitamin E, for example cocoa butter, into your skin in a circular motion at least twice a day. You are less likely to experience stretch marks when you frequently apply vitamin E to your skin. Massaging vitamin E helps to increase circulation to your skin, to help it heal more quickly. The only method said to apply Vitamin E oil is in a circular motion onto your skin. Stretch marks occur when collagen fibers in the dermis of your skin get torn. Vitamin E can improve natural elasticity to stop the tearing of skin. It also improves the strength, thus help to improve the appearance of fine lines and wrinkles. It gets accumulated in the skin which helps keep the skin hydrated and healthy as it serve as a barrier to moisture evaporation. So start including Vitamin E in your diet plan.